Fascinated by the magic of images and how the world is represented through her dreams, visual artist Nazgol Shokatfadaei has started a diary of drawings made with her eyes closed. She loves creating imaginary worlds and connecting to the child inside through her mixed media and acrylic paintings. “My goal is to create links between painting and philosophy to evoke deep meanings and unblock the power of the subconscious mind,” Shokatfadaei says. At her talk, she will bring in her paintings from her “I and Myself” series and explain their inspiration and interpretations. Nazgol Shokatfadaei grew up in Iran and has been living in Surrey since 2016. 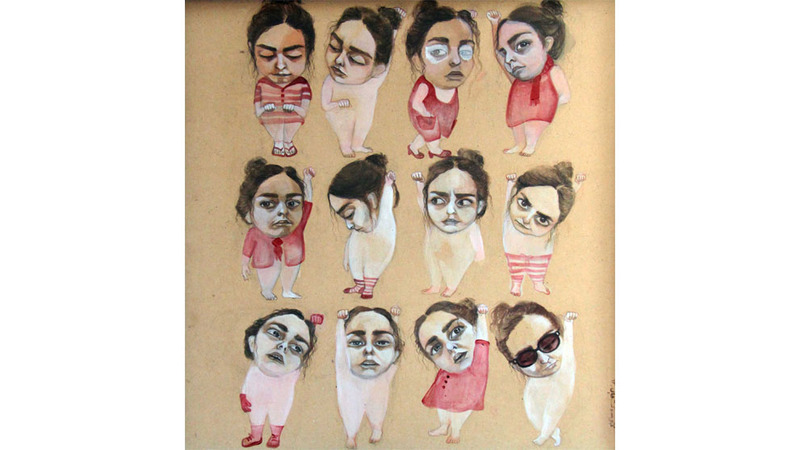 She has a BA in Painting from Soore University (Tehran) and has exhibited her work in group and solo shows in Iran. Her art experiences include teaching at Lotus Art Institute in Dubai, illustrating children’s books, and working on an animation project.